Authority to use BRAND ITRC in your promotional activities. 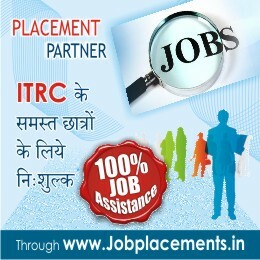 Placement assistance to all students passing out of ITRC center. Specially designed unique course material. A chance to participate in various events conducted by ITRC such as Scholarship exams, career fair etc. Conduction of examinations in controlled environment & Admission in all this courses can be taken throughout the year. In a centre if there are more than 30 students will be declared as an examination centre All courses will be available in HINDI and ENGLISH medium.